The rub for local officials is 2015 Legislature toward the end of the session reduced the reimbursement rate for state prisoners from the actual costs to $69 a day. There’s the ability to go to just over $73 now if there aren’t enough beds available. What House Bill 230 seeks to fix – the reimbursement component. Still the bill doesn’t address the sheer number of inmates. 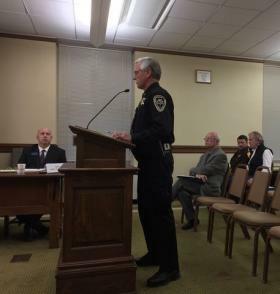 Yellowstone County Sheriff Mike Linder, like some of his counterparts, are struggling to house the state’s prisoners. Linder said Yellowstone County accepts state prisoners even though it contributes to the current overcrowding. He said the costs are shifted to local property taxpayers and the locals who would otherwise be in jail aren’t. 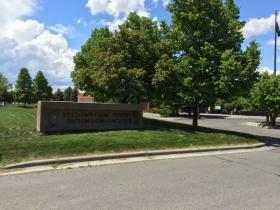 Yellowstone and Lewis and Clark county officials added their voters said no to raising their property taxes to pay to expand or build new jails. The cost shift is why Gallatin County Commissioner Steve White said they closed the door on the state, even though technically there’s room. White said Gallatin County does hold state prisoners that come from the county. The House Judiciary Committee did not immediately vote on this bill. Because of the expected cost, this bill will also have to go before the Appropriations Committees. Their charge is to try to hold down state expenditures in the face of expected declining revenues. Copyright 2017 KEMC-FM. To see more, visit KEMC-FM.